Used as a gemstone for over 2000 years. Today it is the primary ore of zirconium. Zircon Crystal: A small cluster of nicely-formed zircon crystals which clearly demonstrate that zircon is a member of the tetragonal crystal system. The four-sided crystals are prismatic with a square cross-section and terminate with a pyramid. The largest crystal in the cluster is about 1.7 centimeters in length. Specimen from Mt. Malosa, Malawi. Zircon is a zirconium silicate mineral with a chemical composition of ZrSiO4. It is common throughout the world as a minor constituent of igneous, metamorphic, and sedimentary rocks. Zircon is a popular gemstone that has been used for nearly 2000 years. It occurs in a wide range of colors and has a brightness and fire that rivals those of diamond. Colorless zircon is sometimes used as a lower-cost alternative for diamond. Zircon should not be confused with cubic zirconia, which is a man-made material. Zircon is present in most soils and clastic sediments. Zircon-rich sediments are mined and the recovered zircon is used to produce zirconium metal and zirconium dioxide. These are used in a wide variety of manufactured products and industrial processes. Zircon Gem Rough: Stream-rounded crystals of zircon from an alluvial deposit in Australia. Although brown zircon is not highly marketable, much of it can be altered to a rich blue color by heating in a reducing atmosphere to between 900 and 1000 degrees Celsius. These stones range from about 5 to 10 millimeters in size. Zircon is a primary accessory mineral in most granitic rocks. It is also present in gneiss and other rocks derived from the metamorphism of zircon-bearing igneous rocks. Zircon is so common and widely distributed across the rocks of Earth's surface that it could be considered to be a ubiquitous mineral. However, zircon is usually not noticed in rocks and sediments because of its very small particle size. Grains of zircon over a few millimeters in size are rare - they are usually under one millimeter in size. 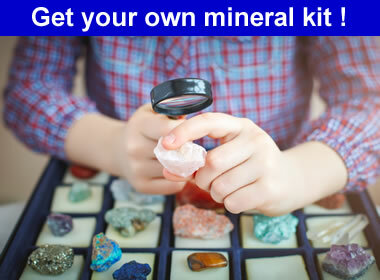 It is one of Earth's most common but most overlooked minerals. Zircon is highly resistant to chemical alteration and abrasion. When rock units containing zircon are weathered and their sediments are eroded, enormous numbers of tiny zircon crystals are dispersed. These can persist in soils, sediments, and sedimentary rocks for millions - even billions - of years. They can survive several cycles of uplift, weathering, erosion and deposition. Some of the largest crystals of zircon are formed in pegmatites, carbonate igneous rocks known as carbonatites, and in limestones altered by hydrothermal metamorphism. These large zircons are sometimes of high clarity and suitable for use as gemstones. Faceted Zircon: Natural and heat-treated zircons in a range of colors that include white, champagne, blue, green, yellow, peach, rose, cognac, honey, and mocha. These stones are about 5 millimeters in size and weigh approximately 7.47 carats total. The white, blue, green, yellow, peach and rose colors have been produced by heat treatment. Color Usually yellow, brown, or red. Also colorless, gray, blue, and green. Streak Colorless. Usually harder than the streak plate. Luster Vitreous to adamantine, sometimes oily. Uses Ore of zirconium metal, ore of zirconium dioxide, whitening agents, white pigment, gemstones, radiometric dating. Zircon has been used as a gemstone for over 2000 years. Its very high dispersion and refractive index give it a brilliance and fire that rival those of diamond. For that reason, colorless faceted zircon has been used as both a popular and fraudulent substitute for diamond. Gemologists and many knowledgeable jewelers are able to distinguish zircon from diamond with a quick examination. To do this they look into the stone, through the table facet, and focus on the pavilion facet junctions, with a 10x loupe. The pavilion facet junctions should appear as double-images caused by zircon's double-refraction. Diamond is singly refractive and will not show doubling of features within the stone. This same test can be used to distinguish zircon from cubic zirconia. Zircon is a popular gem because it is available in a variety of pleasing colors. Most natural zircons are yellow, red, or brown. Heating and irradiation can be used to produce colorless, blue, green, and many other zircon colors. Blue is the most popular zircon color. About 80% of the zircons sold today are blue. Although it is not as durable as diamond, zircon has good physical durability as a gem. It has a hardness of 7.5 and imperfect cleavage. That combination makes it suitable for most gemstone uses that include rings, earrings, pendants, brooches and other jewelry. Some zircon, especially gems that have been heat treated, can be brittle. The facet edges of these gems are susceptible to nicks and chipping. Zircon has been mined from stream gravels for over 2000 years. This early mining of zircon was mainly to obtain nice crystals for use as gemstones. Today, most zircon is produced by mining or dredging zircon-rich sediments. These sediments can be in beach, littoral, or alluvial deposits. Zircon has a specific gravity of 4.6 to 4.7, which is much higher than the typical detrital sediment grain that is between 2.6 and 2.8. This specific gravity difference allows zircon grains to be recovered from the sediments by mechanical separation. Specific gravity separation methods make it possible to profitably recover zircon and other heavy minerals at an ore grade of just a few percent. Zircon is often a coproduct at mining/processing operations where ilmenite and rutile are being mined for titanium. In the United States, zircon is mined in Virginia, Georgia, North Carolina and Florida. Industrial-grade zircon is mined from land- and marine-based deposits of alluvial origin in many parts of the world. Australia, South Africa, China, Indonesia, Mozambique, India, Ukraine, Sri Lanka, Madagascar, Brazil, Kenya and several other countries were important producers in 2014. These alluvial deposits contain mainly sub-millimeter grains of zircon derived from the weathering of granitic rocks. Gem-grade zircon has been produced from alluvial deposits in Sri Lanka, Cambodia, Myanmar, and Vietnam for hundreds of years. More recent gem-grade deposits are in Australia, Nigeria, and Madagascar. Deposits mined for gem-grade zircon must contain crystals at least several millimeters in size with good clarity. They are typically derived from the weathering of carbonate rocks and other rock types associated with hydrothermal activity. Some of the best gem-grade zircon crystals are mined directly from cavities in pegmatite. There is much public confusion between four materials: zircon, zirconium, zirconia and cubic zirconia. Summary definitions of these terms are provided below. Zircon is a naturally occurring mineral with a chemical composition of ZrSiO4. Zirconium is a silvery white metal and a chemical element. It has an atomic number of 40 and an atomic symbol of Zr. Zirconia is the white crystalline oxide of zirconium with a chemical composition of ZrO2. A naturally occurring, but rare, form of ZrO2 is the mineral baddeleyite. Cubic Zirconia is a synthetic gemstone with an appearance that is very similar to diamond. It sells for a tiny fraction of the cost of diamond and has historically been the most commonly used diamond simulant. All of these materials are related. Zirconium, zirconia and cubic zirconia are all produced from industrial-grade zircon. Reversible Color Modification of Blue Zircon by Long-Wave Ultraviolet Radiation, by Nathan D. Renfro, Gems & Gemology, Volume 52, Number 3, Fall 2016. Zircon and Hafnium, by George M. Bedinger, 2014 Minerals Yearbook, United States Geological Survey, August 2016. Deposit Model for Heavy-Mineral Sands in Coastal Environments, by Bradley S. Van Gosen, David L. Fey, Anjana K. Shah, Philip L. Verplanck, and Todd M. Hoefen, Mineral Deposit Models for Resource Assessment, Scientific Investigations Report 2010–5070–L, United States Geological Survey, 2014. Mineville, Eastern Adirondacks – Geophysical and Geologic Studies, by Anjana Shah, article on the Mineral Resources Program website of the United States Geological Survey, accessed November 2016. Zircon sand has a low expansion coefficient and is very stable at high temperatures. It is used as a refractory material in many foundry and casting applications. One of its most common uses is in the production of ceramics. Zirconium dioxide (zirconia) is produced by heating zircon sand to a high enough temperature to break down the zircon molecule. In powdered form, zirconium dioxide is bright white, highly reflective and thermally stable. It is used as an opacifier, whitening agent, and pigment in glazes and stains used on ceramics and pottery. Yttria-stabilized zirconia is used to manufacture cubic zirconia, fiber optic components, refractory coatings, ceramics, dentures and other dental products. Zircon serves as the primary ore of zirconium metal. Zirconium is used in a variety of metal products that require a resistance to heat and corrosion. It is used to make high-performance alloys, specialty steel, lamp filaments, explosive primers, computer equipment and many electronics components. Many zircon crystals contains trace amounts of uranium and thorium. These radioactive elements were incorporated into the zircon at the time of crystallization. They convert into their decay products at a steady rate. The ratio of parent materials to daughter products can be used to estimate the time of crystallization. Using this method, the oldest mineral grains in the world are zircon crystals found in Australia. They are estimated to be about 4.4 billion years old. When radioactive elements in zircon crystals or nearby materials decay, radiation is emitted. The zircon crystal can be damaged by this radiation. Some zircon has been so damaged by exposure to this radiation that it no longer retains the clarity and optical properties of an attractive gem material. This is why some zircon is not suitable for use as a gem.